Frequency Range : : 20 Hz to 50 KHz in four switched range plus a fine control Accuracy + 5%. Amplitude : : Continuously variable from 0-8 Vpp. max. Power : : Output upto 1 W.
Our organization is engaged in manufacturing a quality range of White Lever Oscillators. 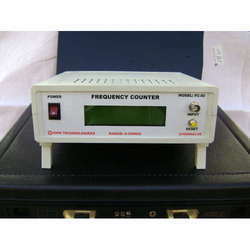 The oscillator is developed to function over an effective range of resonator resistance. It is designed in a such a way that facilitates both frequency and loss (Rm) of the resonator to be decided on a wide dynamic range of resonator loss. 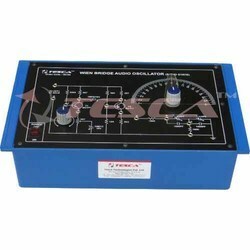 We have gained a remarkable position in the market that is involved in offering Audio Oscillator. Model – 712 A.F. Oscillator is an economical but versatile sine and square wave generator for Audio and supersonic frequencies between 20 Hz and 200 KHz. It is suitable for measurement of frequency and distortion of Audio and wide band filters and transmission systems. has been designed specifically for the study of Wien ends 4mm spring loaded plug length ½ metre.